 Dayton Ohio has been slammed with foreclosures, and there are indications that more are on the way. We are a “Legacy City“. We have a rich stock of beautiful historic and Mid-Century Modern homes, but as those homes age, are left vacant and fall into disrepair, the need for renovations and repairs becomes urgent. Enter REbuildUSA. Save Time & Money – Use one loan to buy and renovate a great home to meet your needs. Get More Home for Your Money – Take advantage of the excellent prices for homes throughout the Dayton area that need repair and remodeling. Low Down Payment – Enjoy the benefits of homeownership with as little as 3.5% down. Easier Qualification – Less strict FHA qualification requirements benefit those with less than perfect credit. Make the Most of Your Investment – rather than paying a premium for changes made by previous owners, invest in improvements that suit your personal tastes and lifestyle. Earn Additional Equity – Professional installers do the work, and you can earn “sweat equity” in the process. Greater Financial Stability – Rather than experiencing a strain on your budget for major repairs later, you can pay for these improvements over time at a more affordable rate. Live in a More Desirable Location – There are many great homes in wonderful established neighborhoods throughout Dayton that offer perfect FHA 203k opportunities. Invest in Your Future – You can use an FHA 203k loan to purchase a 1 to 4 unit property allowing you to renovate a home that also brings you rental income as an excellent long-term investment. The 203k is a great loan program, an old program in fact, but Lowe’s as well as other partners have created a way to bring it out, dust it off, use technology to network and train professionals in the benefits. As a REbuildUSA 203k Specialist™ I can provide expertise and support- tools, tips, and techniques- to help clients find a great home at a great price, and for the Dayton area, this means renovating and stabilizing neighborhoods. It’s a perfect storm for savvy home buyers.